With only two main ingredients, white chocolate and whipping cream, this might be the easiest mousse of all time. It's great if you need to whip up a quick dessert, or if you need to avoid eggs. However, the final product is not particularly light and airy like many mousses. It's thick, rich and creamy, pairing perfectly with berries of all kind, especially red currants. Full disclosure: this recipe is actually just an excuse to post lots of pictures of these glorious crimson berries. I want to eat and wear them. In Bernese German, red currants are called Meertrüebeli. It's not clear what the meer part means (though some have suggested a shortening of Maulbeer, or Mulberry), but trüebeli just means little grapes. 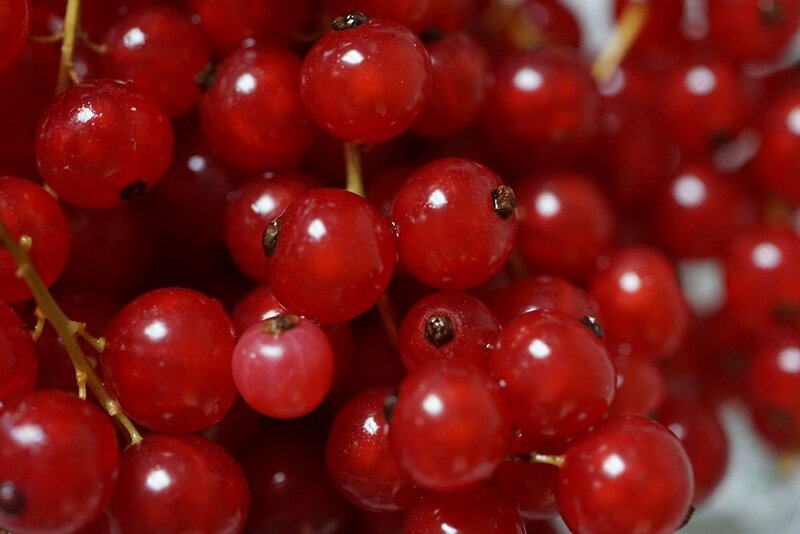 In the rest of Switzerland, they drop the meer and just refer to the currants as trüebeli. In high German, they are known as Johannisbeeren and are named after the feast day of St John the Baptist, June 24, when the berries normally start their season. Melt the chocolate over simmering water. Once melted, pour in two tablespoons of the cream and whisk well. Let this cool until it is room temperature. 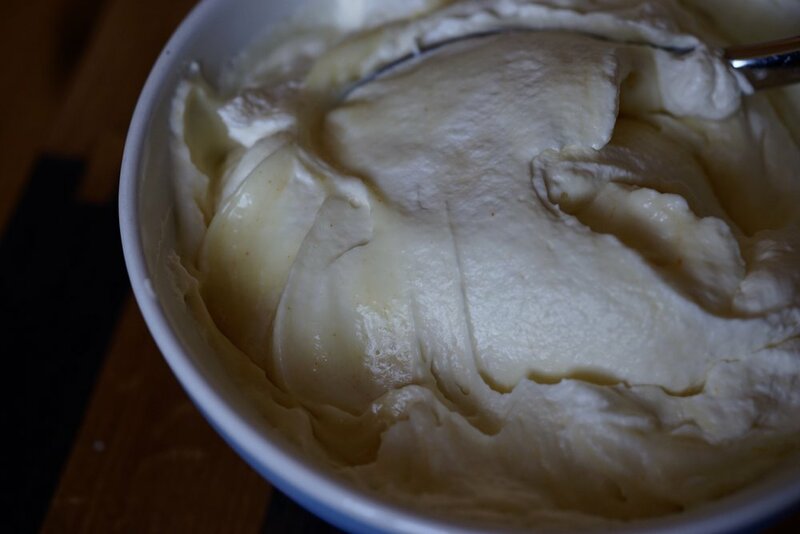 Whisk the remaining cream and vanilla until stiff peaks form, but the cream is still shiny and smooth, not grainy. Whisk a blob of whipped cream into the chocolate until incorporated, then carefully fold in the rest of the cream. If desired, toss in a shot of booze. A handy tip for de-stemming the berries is to hold by one end and pull through the prongs of a fork. Because there are so few ingredients, it is worthwhile to use a good quality white chocolate. If you overwhip the cream, just fold in a little more liquid cream a tablespoon at a time—this should help smooth it out. When melting the chocolate make sure it doesn't get too hot—even a little bit of steam from the simmering water can be enough to make the chocolate seize.